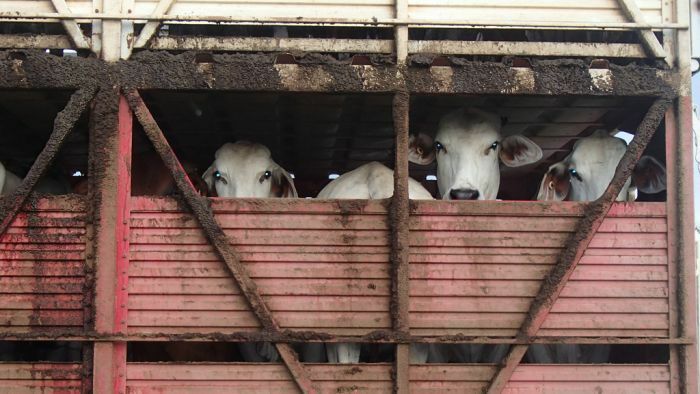 Brazil began shipping its live animals for export to Turkey. There have been many anti-export demonstrations - especially by animal rights activists at the Port of Santos (SP). Before boarding the ship, the animals make a long truck or truck trip in degrading conditions, which was evidenced in a recent case in the Port of Santos. Media reports show that activists have obtained evidence of ill-treatment of animals. Activists from the NGO VEDDAS - Ethical Vegetarianism, the Defense of Animal Rights and Society - stood in front of the trucks. They were stopped to check the conditions of the animals. This fact led the State Court to determine the suspension of the embarkation and the landing of the animals that were on the ship. The actions were proposed by lawyers of animal protection NGOs and lawyers of ABRAA - Brazilian Association of Lawyers and Animal Lawyers. Also, due to all that happened, Federal Judge Djalma Moreira Gomes suspended the shipments of animals for maritime transport throughout the national territory. He determined the immediate landing of the animals. The injunction was upheld by magistrate Diva Prestes Marcondes Malerbi. The Municipality fined the company Minerva in R $ 1.5 million for maltreatment in the transportation of oxen to the Port of Santos. The Expert Report, prepared by the veterinarian Magna Regina, after inspection on the ship, found ill-treatment of the bovine herds (Bulldogs). The above facts have led the judiciary and the media to raise the issue of cruelty to animals used for shipping. The mistreatment is intrinsic to the activity of exporting live cargo, disregarding Brazilian constitutional norms and Federal Law of Environmental Crimes that prohibit practices that are cruel to the animals. It is important to note that the mortality rate is between 0.4% and 0.8% - depending on the vessel's stocking conditions. Article 225, paragraph one, item VII, of the Federal Constitution, states: "Art. 225. Everyone has the right to an ecologically balanced environment, a common use of the people and essential to a healthy quality of life, imposing on the public power and the community the duty to defend and preserve it for present and future generations. Paragraph 1 - To ensure the effectiveness of this right, it is incumbent upon the public authority: VII - to protect fauna and flora, prohibited by law, practices that endanger their ecological function, cause the extinction of species or subject animals the cruelty. " Article 225, paragraph one, item VII, of the Constitution, is being repeatedly disregarded with the various shipments of live animals that occur in Brazilian ports. Article 32 of Law 9605/1998 establishes a penalty of three months to one year, and a fine for anyone who: "Practices an act of abuse, mistreatment, injury or mutilation of wild, domestic or domesticated animals, native or exotic." It should also be noted that Federal Decree no. 24.645 / 34, still in force, prohibits the practice of ill-treatment against animals in its art. 3, I, which provides that "it is considered maltreatment to commit an act of abuse or cruelty in any animal". 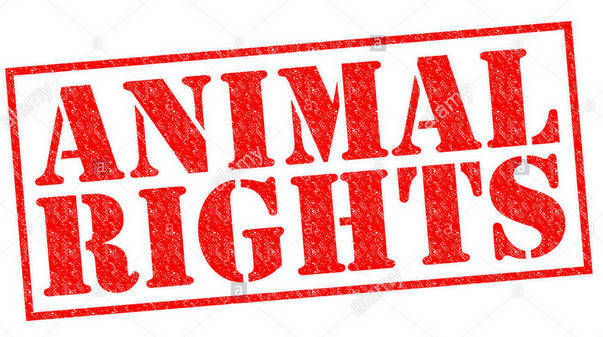 It is important to remember that Brazil is a signatory of the "Universal Declaration of the Rights of Animals" (Brussels, 1978), which states in its Article 3 that "no animal shall be subjected to ill-treatment and cruel acts". Regarding the animal protection system, Article 14 informs that animal protection and protection agencies must be represented at the governmental level and animal rights should be defended by law as the rights of man. It is necessary that the Judiciary practices that violate the Constitution and the Law of Environmental Crimes. 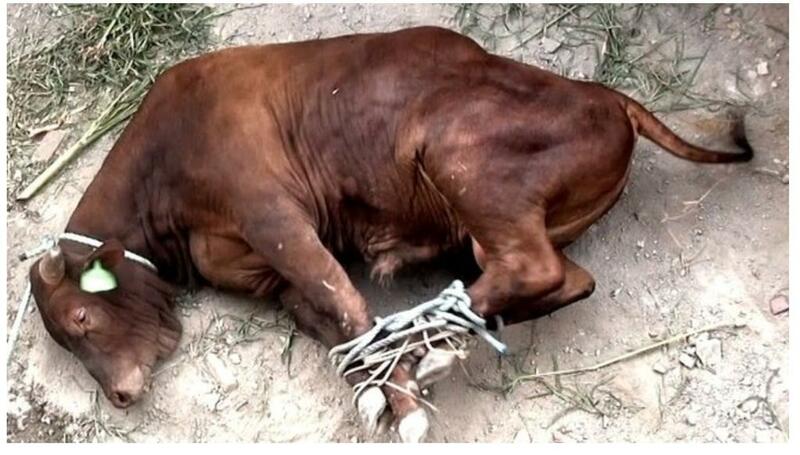 Exporting live animals is an activity that, in its essence, is extremely cruel to animals. We must analyze exports of live animals critically and in the light of the legal system. This is because there is a discrepancy with the rights already recognized to the animals. The shipment of animals on the ship lasts for several days and is just one step of the many experienced by them. 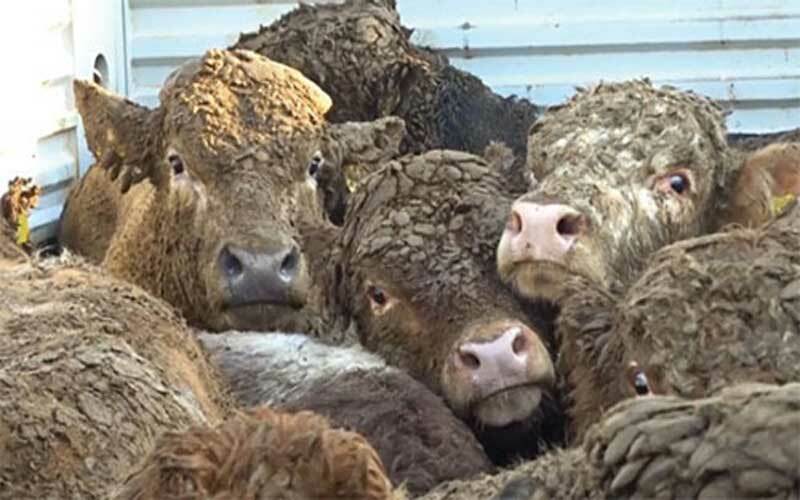 The animals spend hours before in trucks, where they are accommodated precariously. There are days when standing, thirsty, hungry, dirty and exhausted awaiting the beginning of the shipment. In 1988, the Constitutional Power introduced the word "cruelty" to animals to make explicit in the Magna Carta the supremacy of the prohibition of this practice in relation to children (art. 227) and animals (art. 225, §1, VII). vulnerable beings protected against cruelty. A new order was brought by the legal system. It is necessary to recognize animals no longer as things, but as subjects of rights. As already recognized scientifically, they are considered sentient beings. The Declaration of...Cambridge on Consciousness in Human and Nonhuman Animals, proclaimed on July 7, 2012, at the Francis Crick Memorial Conference on Consciousness in Human and Non-Human Animals, a document subscribed by neuroscientists Philip Low, David Edelman and Christof Koch, among others "Wherever instinctive emotional behaviors are evoked in non-human animals, many of the subsequent behaviors are consistent with known emotional states, including those internal states that are rewarding and punitive. (...). "Nonhuman animals, including all mammals, birds, and octopuses, also possess these neurological substrates. The condition of the animals is ensured by the Constitution - which elevates them to the condition of living beings protected as a fundamental right, in the role of rights of defence to the natural environment. Animal rights come from a natural right arising from the very existence and capacity of consciousness and feelings. These basic rights should not be attributed only to human beings, relegating animals to the mere condition of objects before humanity. Society has evolved sufficiently to recognize that, in ethical and moral essence, animals are subjects of law in accordance with the natural interests inherent in nature itself and because they are fully capable beings of consciousness and sentiments - sentient beings. Animals have basic moral rights: life, liberty, and physical and mental integrity. Ex-farmers become animal rights activists and make touching statements. There are former agricultural workers who have experienced a profound change of perspective. They stopped killing animals and started fighting for their rights. As "family farmers," they have already justified their cruel trade by hiding the terrible reality and have used fallacious arguments about "human-bred animals" and "happy meat." After realizing that this narrative is misleading and harmful, they were inspired to change and transformed the work of their lives that stopped perpetuating cruelty to promote compassion. These vegan activists are currently devoting their time to making significant changes to farmed animals. Here are a few of his touching statements selected by Last Chance For Animals. "No, 'Am I good to my animals?' Or 'Do I feed them well?' But, 'My God, should we eat them?' This was a door of my soul that I had never opened before. And when I opened it, I would never be able to close it again because I knew what those animals were like when they entered the extermination floor. There is always fear in your eyes. They know exactly what will happen. For anyone to claim that there is something like "human murder" is the greatest oxymoron in the world, "said former farmer Lynard. "The screams of the mothers ... I still hear the sound. Does not go away. I keep thinking about it. I still live in a state of denial that I used to be a farmer. 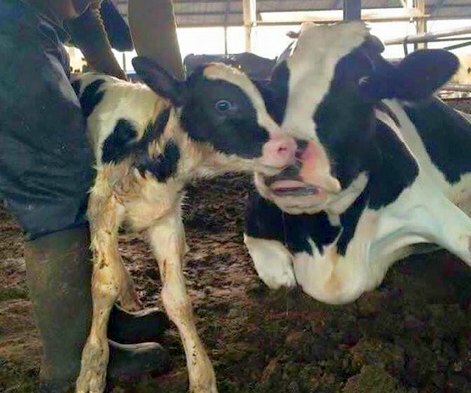 Now, when I look into the eyes of the calves or into the eyes of the cows, all the sadness that I have provoked is engraved forever in my heart. I have no idea how many mothers and babies we put in the truck to send to the slaughterhouse. How many mothers were left without their babies and they cried and asked for their babies, "said Michelle, who worked in the dairy industry. "We stood at the gate listening to one of our kids being carried [to the slaughterhouse], crying in the trunk of the car. It was at this terrible moment that we looked at each other with tears in our eyes. Since then, we have left the dairy industry and transformed our farm into a sanctuary. Now there is a very clear distinction between human and inhuman agriculture. Human agriculture cultivates a plant-based diet. Inhuman agriculture creates any sentient being for production and consumption, "said Cheri Ezell, who had a goat farm. "I realized that they had family ties; they yearn for safety, experience joy and happiness. It's strange how we, as human beings, have the profound abilities to avoid their eyes from the obvious that is apparent, "pointed out Harold Brown, who raised oxen and cows. "After looking into the eyes of thousands of pigs, I realized that they are never vague, there is always someone looking at me. As a pig farmer, I live an unethical life trapped in the pitfalls and justifications for social acceptance. Behind the coat, I am a slave and a murderer. Looking straight ahead, you can not see it. Creating and killing pigs humanely seems perfectly normal. To see reality, you have to ask yourself. What I do is wrong, despite the acceptance of almost 95% of the American population. We have an obligation to feed ourselves in another way, "said Bob Comis, who ran pigs. "The mothers were giving birth outside my window and I was hearing their birth pains all night and then watching them loving and cleaning their babies until my husband went with the tractor and the cage to carry those babies. You realize you've been blind to the holocaust occurring around you. 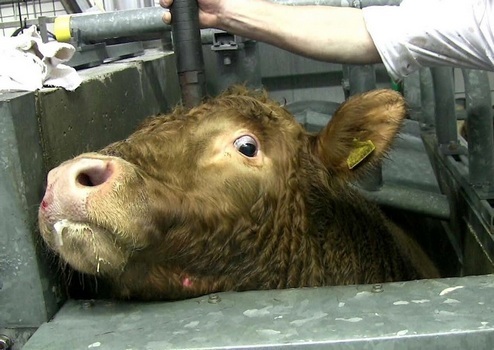 Once you cross this barrier of social conditioning to ingest meat, you wake up in a world of horror, "stressed Jess Strathdee, who worked in the dairy industry.